You know that kind of childlike joy - the one that takes you back to hot summer days lazing by the pool, listening to Britney Spears while licking sweet sugary ice cream off your chin to cool down. 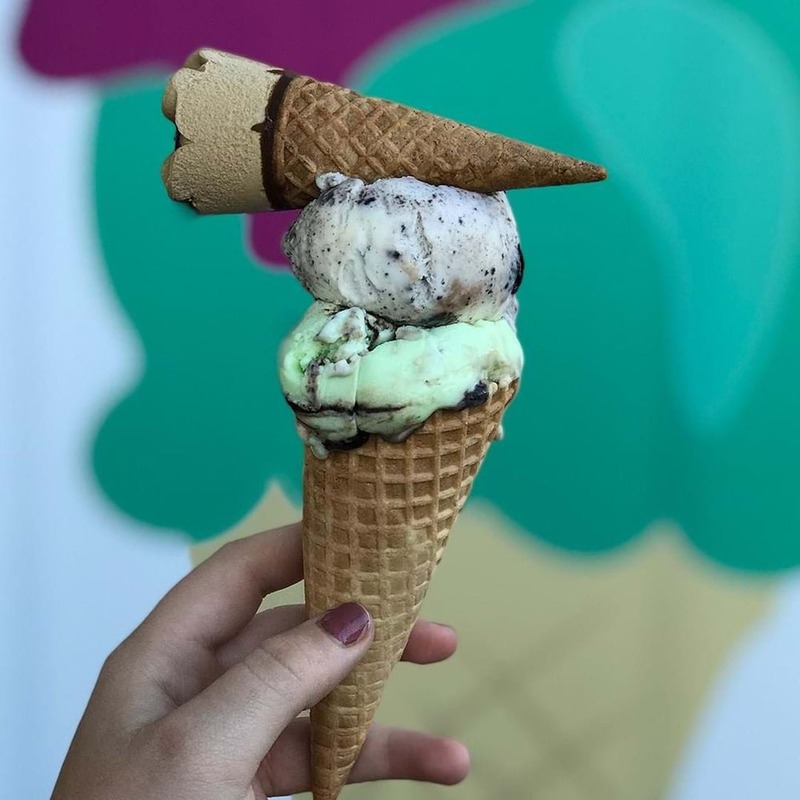 Well this weekend is sure to bring back that nostalgia tenfold with the creamy arrival of NightQuarter's super sweet Summer Icecream Festival. Fresh cinnamon donuts layered with ice cream and topped with chocolate sauce, whipped cream and a mini ice cream cookie sandwich. Source: NightQuarter. It seems the days of the ol' Neapolitan ice cream are gone as we know it - with fruity sorbet, warm nutella calzone, donuts piled with ice cream and a mini ice cream cookie sandwich all making a star appearance. This Saturday Helensvale's popular night market is giving you permission to swap your 'New Year, New Me' kale smoothie for a line-up of frosty dreams kicking off from 4pm. Milkshakes, vegan ice cream, dutch pancakes, ice cream cocktails, honey puffs, donuts, hell, even ice cream tacos will hit the menu across many of their specialty food trucks and bars. The sugary take over is a one-night-only event and is just one of many epic themed nights taking place at NightQuarter across Summer. Did we mention there's even doggie ice cream for our four legged friends? Now that is truly the cherry on top. Get the scoop this Saturday 19th January from 4pm till 10pm at NightQuarter, 1 Town Centre Drive, Helensvale. Triple layered cornetto... on top of a cornetto. Source: NightQuarter. NightQuarter is open every Friday and Saturday from 4pm-10pm with music, markets and food. $3 entry for all adults with kids 12 and under free. The quick and easiest way to the venue is to ride the G:link.